It’s that most glorious time of year again… The days are getting longer, brighter and warmer, Easter is almost upon us and you have an overwhelming urge to spend some time in the garden sprucing up that old chest of drawers you’ve had hibernating under the stairs for the winter. This can mean only one thing.. It must be time to make a visit to the Ideal Home Show 2015. This year it is opening at the end of this month at their new home of Kensington Olympia, London. We are excited to be showcasing our latest Pushka Home range including our cupboard knobs, mortice knobs, coat hooks and the long awaited ceramic and oak bathroom light pulls. We as a company appreciate that with every new season, comes fresh designs and new perspectives originating from our sister fashion world. Geometric shapes and bright colours on the cat walk has paved way for the colourful paint and bright accents that we will begin to see evolve on our furniture this spring. Pushka Knobs can match any pantone, chalk paint or wall paint colour to allow these bright furniture colours to match any wall or tile in the house. We love to help create fresh decorating ideas for your home without it breaking the bank. If you are bored of your furniture try to mix and match and have some fun transforming your furniture and in turn your home. 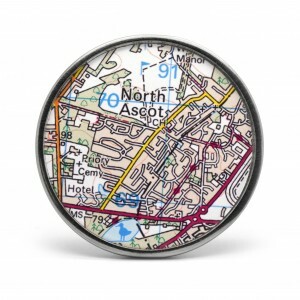 We have an array of products from brightly coloured ceramic knobs and large bold Murano hand blown glass to a bespoke personalised service of a photo memory printed on your cupboard knobs or wall hooks. Our Pushka designs are unique designs that are constantly being updated and amended to keep up with the latest trends and designs each season. 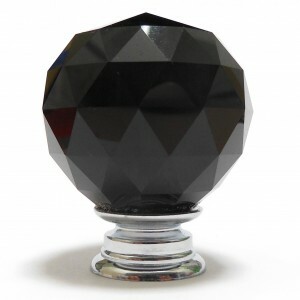 Our bespoke knobs allow us and our customers to bring a design idea to life whether it’s a family photo, a wedding photo or a favourite Instagram photo these can be placed all over your furniture and walls for a truly unique accent to a room. This entry was posted in Uncategorised and tagged geometric, knobs, colourful knobs on 25th March 2015 by admin. At Pushka, we thought it might be a nice way of welcoming our new customers and reaching out to previous customers by giving you all a little background knowledge on our humble yet thriving business here at Pushka HQ. Pushka is run by the hardworking and dedicated Lucy and Matt. Friends since 2004, it would not be until some years later that they decided to go into business together. Fast forward to 2009 when a friend of Lucy’s returned from a trip to India with 8 beautiful cupboard doorknobs. A light bulb moment for Lucy quickly occurred, and the idea of importing these lovely little items was born. It wasn’t that easy though and what followed was months of emailing suppliers all over India. Unfortunately for Lucy, many of these suppliers would not send over small samples from their ranges of doorknobs to an unknown young woman just starting out. But Lucy persevered and eventually tracked down a supplier who gave her a chance. He sent her over 20 of each design he had and Lucy fell in love with these little Indian treasures. Things were turning around and Lucy’s faith was restored. Lucy travelled around fairs, car boot sales and craft shows, showcasing the knobs and gaining loyal and happy customers along the way. All she had were her sample knobs and a big sign bearing the company name ‘Pushka Knobs’; a little nod to the small Indian village of Pushkar, where her friend initially bought the first knobs back from. Lucy soon realised her little dream was becoming a big reality and she needed help. Enter Matt. He had an eye for design and detail and brought in fresh new ideas on how to market the company to a wider audience. He also had a garage that Pushka Knobs was now packaging out of. Matt’s help led to the knobs being sold on Ebay, Amazon and a spangdangly new website, www.pushkaknobs.com. 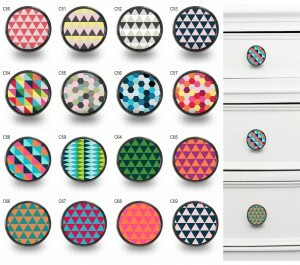 Things went from strength to strength as Pushka Knobs joined forces with www.notonthehighstreet.com. Pushka was growing and by 2012 Lucy and Matt decided to travel to India to meet their supplier in person to get a real idea of where their knobs were coming from. Set up in a small, modern workshop, a team of workers were employed to help make and assemble the knobs. The trip proved hugely beneficial as it meant Lucy and Matt could reach past the language barrier and really get into designing and improving the knobs before the export stage. By March of that year Lucy and Matt were in their own offices in London, packaging and posting from a much bigger space than Matt’s little garage. It was exciting times for Pushka! By 2013 the Pushka team were dedicated to reaching out to potential customers and showcasing their products to a wider audience. This meant packing up the best of the knobs and travelling all over the country to consumer shows including Ideal Home Show, Grand Designs Live, Home Building and Renovating and Spirit of Summer. Not content with visiting just consumer shows, Pushka began trading to shops, furniture restorers and interior designers. They targeted trade shows and networked with other like minded people at Spring Fair, Harrogate Home and Gift Show, Autumn Fair, Interiors and Home. Pushka was now importing their knobs from all over the world which meant a wider and more fantastic range of knobs to offer you lovely people! 2014 has brought new and exciting times for Pushka Knobs, new offices and staff, an improved website and a huge range of bespoke, unique doorknobs in their collection and available to purchase. This entry was posted in Uncategorized on 13th March 2014 by admin. It's Ideal Home Show Time Again! You've followed us on Pinterest, liked us on Facebook and connected with us on Twitter. You've gathered ideas, been inspired and had your confidence boosted when it comes to home decor. Now it's time for that last step in your journey to transforming your home! From kitchens and bathrooms, to bedrooms and basements, from fixtures and fittings to fine food, gardens and the latest gadgets, plus fashion, beauty and gifts, you'll find it all under one roof at this award-winning show. Whether you have a substantial home project or want to add those finishing touches that make a house a home, the Ideal Home Show has everything you need. From 14th – 30th March 2014, this iconic British Home Show will return to Earls Court, London for its 106th Year! And Pushka will be there! Come and see all of our exquisite knobs at stand number 2L29 and meet Lucy and Matt who will be able to help and advise you on the best knobs for your project, big or small! This entry was posted in Uncategorized on 27th February 2014 by admin. Do you have tired looking furniture but lack the funds to replace it? Fear not, Pushka are on hand to help you revamp your old dressers and cupboards for a fraction of the cost whilst giving you a sense of pride at what you can achieve. All you need to do is choose your paint colour and finish it off with some gorgeous new knobs! Watch this video with Annie Sloan for step by step instructions on how to achieve that shabby chic, vintage cottage look. This entry was posted in Uncategorized on 24th September 2013 by admin. How to install a Door Knob..
Are door knobs sold in pairs? What size door knobs do I need? If you have standard size doors (1980 x 760mm), or close to standard size doors, then you would require the 50mm diameter knobs. We sell larger door knobs up to 75mm in diameter for external doors and large internal doors. Pairs of door knobs do not generally go above 75mm in diameter as they need to be set back far enough from the edge of the door so your fingers do not get jammed between the door knob and the door frame. Of course size is down to your choice and aesthetics. If you are uncertain of the size, we suggest you make a paper cut out and stick this to the door, but remember to consider the projection as well. Can I have one style or finish on one side of the door and a different one on the other? e.g. Bathroom one side (chrome) and landing the other (brass). Good question! This can only be done if the spindle bar and method of fixing is the same. Generally if it is the same item in a different finish this can be done. If you want to mix styles please let us know and we can advise you to help you get your desired look. What do I need to make door knobs turn? Door knobs are all supplied with spindles and the spindle needs to go through a latch. The latch is generally set into the edge of the door, so you only see the facing and retaining plates. Door knobs rely on the spring in the latch to make them spring back into position. We sell a heavy duty latch to ensure your door knobs function at their best. These are door knobs which fit a mortise lock or latch i.e. fittings set into the edge of the door. Mortise knobs generally have the backplates fixed to the the door knobs and the spindle bar is plain and 8mm square. What is a Centre Door Knob? A centre door knob or door pull is a single door knob. These do not turn. They are bolted from the back of the door and are generally used in the centre of external doors. These are often the grand centrepiece of a panelled front door. As they are not turning or fitting near to the edge of the door, they can be made larger than pairs of door knobs. Our largest ones are 100mm diameter. What is a Cupboard Knob? A cupboard knob is designed as a single knob. 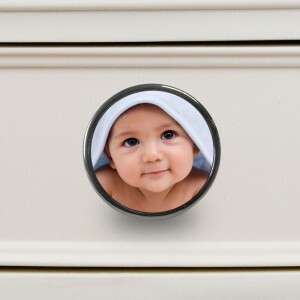 They are generally smaller in diameter than door knobs or centre knobs and are bolted from the back. We have sizes from 20mm diameter up to 50mm diameter in several different finishes and lots of styles. These act as pulls only and do not turn. They are used on cupboard doors, drawers and furniture. If we haven't answered your question here please get in touch. We understand that not everybody knows the ins and outs of knobs and we are happy to help! This entry was posted in Uncategorized on 2nd September 2013 by admin.